If you have any wiring like this, it should be corrected, both for safety and for function. J Gordon & Co has trained and ABYC certified personnel that can design, layout, repair and service your electrical needs. From minor installations to complex systems. We specialize in cruising yacht systems where electrical needs are critical. We can design systems that go from the battery size and type to the charging systems. Battery Charge system from alternators with smart regulators to wind and solar systems. Each system should be monitored with monitors that can read and keep track of battery discharge and charges, showing you the actual percent of battery usage. We also specialize in converting electrical systems to use European systems or European systems to American systems. I just wanted you to know that we hooked up to 50hz 220v power yesterday for the first time. It went perfectly! I can’t tell you how many people have told me during the past year that such a complicated boat wiring will never work. TARA is operating just like we planned. I had an electrician on board to test each stage of the turn-on process and we added things breaker by breaker with a toast towards you each time the device worked properly. He said that you really deserved a compliment for the 7-pole switch design because he had never seen a boat that was so versatile. Everyone that I know down here has to make some compromises when they are on Euro power, not TARA! Thank you so much for putting in all of the effort to computerize the drawing of the 7-pole switch. We have referred to it often. 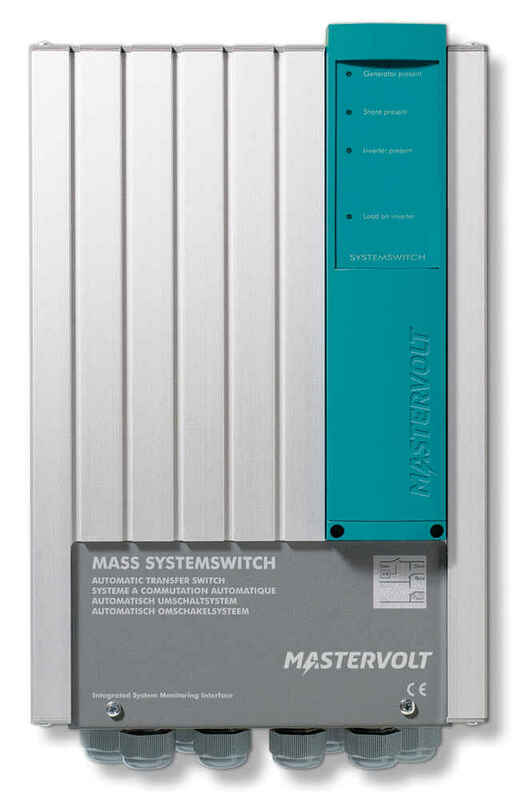 Also a key component is the huge Mastervolt inverter/charger. I am going to make a note on Cruisers Forum about your work because I could never find good answers to my questions about how I could avoid using the generator why on Euro shore power. That is what 90% of people do to power their boats while at Euro powered marinas. TARA’s redesign will pay for itself in fuel savings. 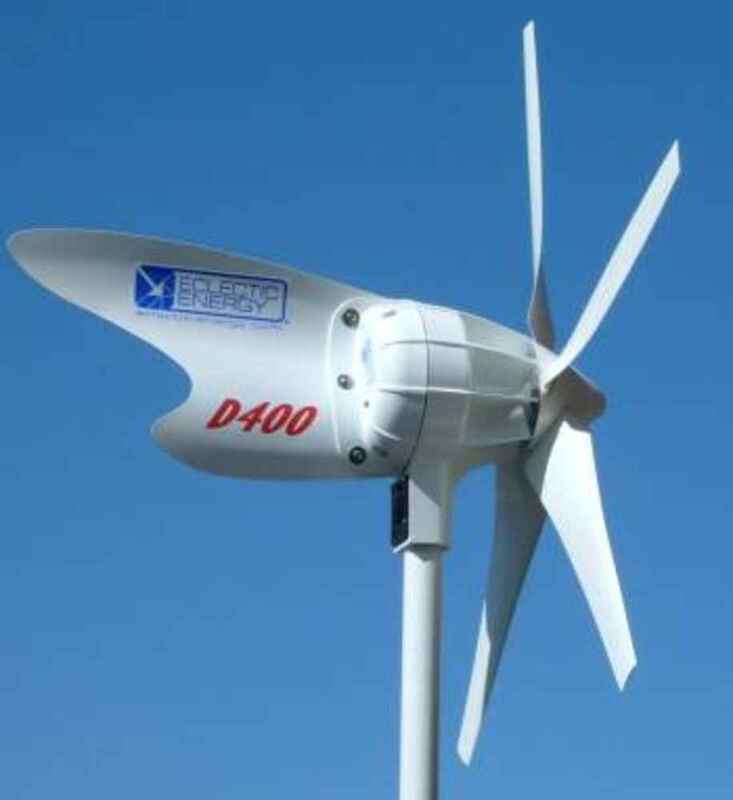 The D400 is a new direct-drive wind generator, designed for a variety of marine, rooftop or terrestrial applications. 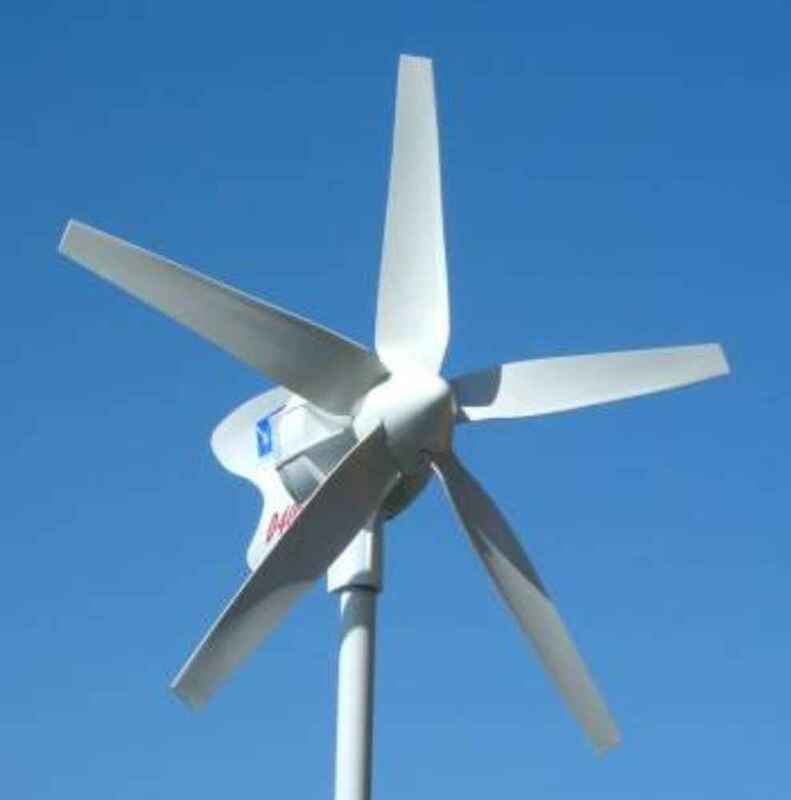 It is exceptionally quiet and vibration-free in operation, qualities that are of paramount importance for any wind generator operating in close proximity to people. The D400 is available in white, or low visibility black as the StealthGen. 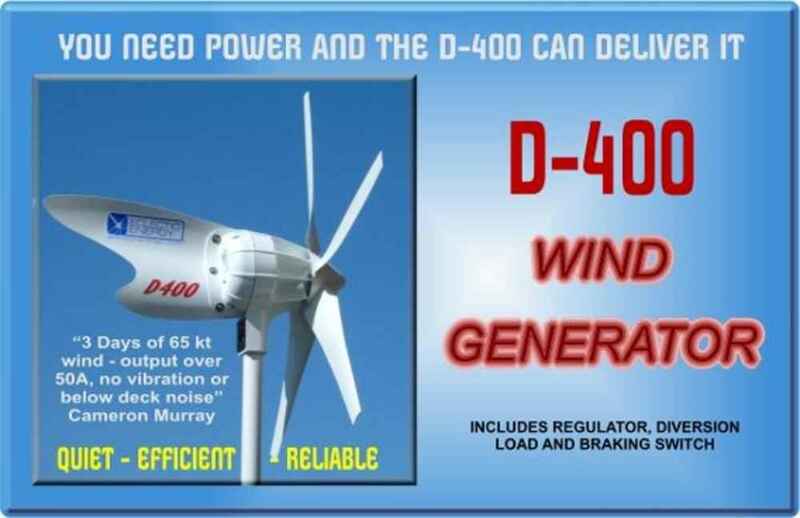 The D400 features a powerful 3-phase alternator, and computer-designed rotor blades optimised for low speed, user-friendly operation. This innovative machine is extremely efficient in low wind speeds, yet is capable of sustained high power outputs of up to 500 watts in higher winds. Distinctive and elegant in design, the D400 is superbly engineered for long, trouble-free service, and is available in either 12 or 24 volt variant. We have extensive experience in installing solar panels and wind generators. Installing regulators and separate amp meters gives you the most control and charge information for monitoring your charge rate and battery state. Announcement - J Gordon & Co. has just been appointed the new MasterVolt distributors for Chesapeake Bay and surrounding states. We will be providing Sales, Service, Parts and Warranty for the MasterVolt line of Inverters, charger, batteries, battery monitors and electrical components. Introducing the newest and best shore power connection to come along in years!